Late at night, I cry these tears away, wondering what I can do or what I can say. ‘cause it seems to me that without me you can still get through. 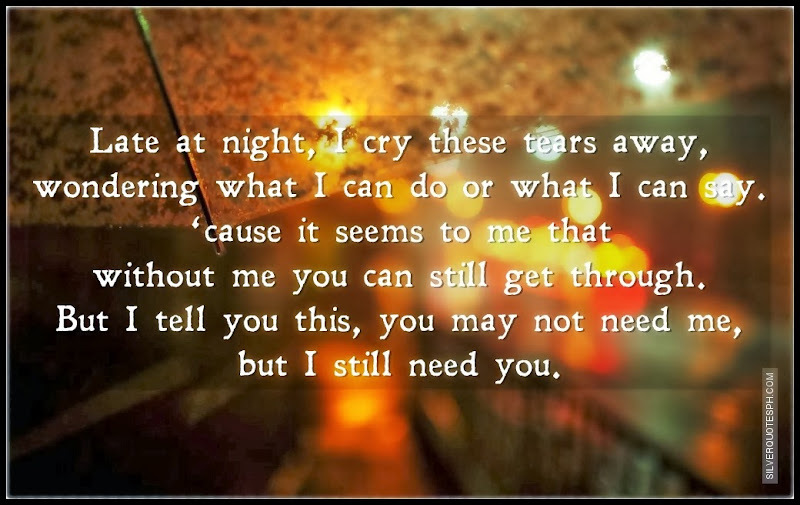 But I tell you this, you may not need me, but I still need you.